BAOJI FIRST HAS PASSED ISO9001:2008 & AS9100C CERITIFICATES. GR1, GR2, G3, GR4 ,GR5 (Ti-6Al-4V) GR7(Ti-0.2Pd), GR9(PT3V), GR12(Ti-0.3Mo-0.8Ni), GR23(Ti-6Al-4VELI) Ti-6Al-2Sn-4Zr-2Mo, 3M TA5(Ti-4Al-0.005B),TC11 BT-9(Ti-6.5Al-3.5Mo-1.5Zr-0.3Si),TA15 BT-20(Ti-6.5Al-1Mo-1V-2Zr),TC1 OT4-1(Ti-2Al-1.5Mn). 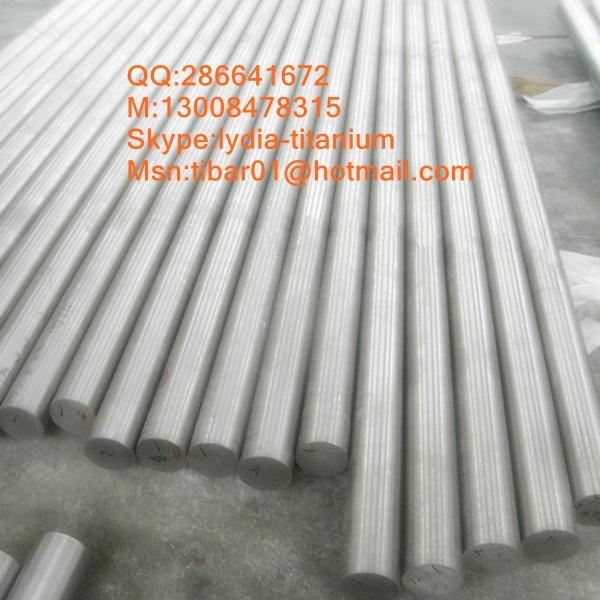 Standard: AMS 4928R, ASTM F67, ASTM F136, ASTM B348, ISO5832, ASTM B381, MIL-T-9047G, MIL-T-9046J. Packaging:in standard export wooden cases. Quality:100%UT and supply the third party chemical and mechanical property documents.